Saddlerock Ranch is an outdoor venue owned by Malibu Family Wines. It is a beautiful location, and the property also features tons of animals, including zebras. For this wedding, M's Flowers created a lovely floral palette of orange, green and cream, with chocolate brown table linens. 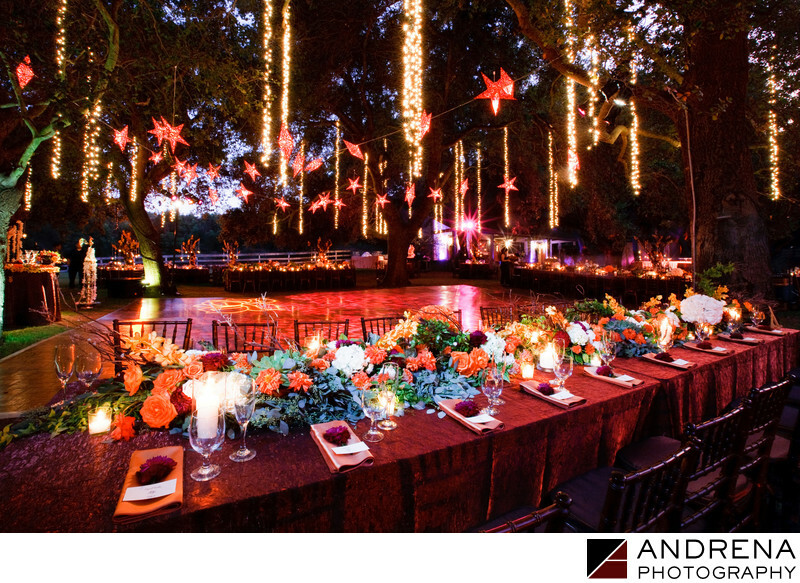 Hanging stars and twinkle lights added to the magical nighttime reception look for this Sri Lankan and Hindu fusion wedding.